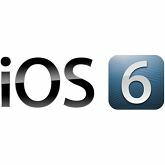 The brand new iOS 6 is now available for the iPhone 4S, iPhone 4, new iPad, iPad 2, iPod Touch 4th generation and 5th generation iPod Touch! Apple appears to be making headway on it’s goal to become less dependent on third party software. The new iOS features Apples own mapping system. Maps offers turn-by-turn navigation, 3D maps, real-time traffic information and more. However, not all the map’s features will be available in every market. Siri has now been improved upon. Apple says Siri can now understand more languages, and can give answers to your movie, sports and restaurants related queries. “Simply select photos from the Photos app, tap the Share button, choose who you want to share your photos with, and they’re on their way,” states Apple. Boarding passes, movie tickets, retail coupons, loyalty cards and many more things can be scanned and stored at one place. These scanned copies are good to go and can be used like any normal passes. This feature adds a lot of efficiency in managing coupons and tickets. It also comes with alerts to trigger at specific events. FaceTime now works over cellular networks as well as Wi-Fi, so you can make and receive FaceTime calls wherever you are. When an incoming call is declined, it can immediately be replied to with a text message, or a reminder can be set up for later. The DO-NOT-DISTURB mode has exceptions – where it will not block user selected contacts. A great feature if you want to do a general DO-NOT-DISTURB while allowing some calls through. A new streamlined Mailing interface lets users have better control and a better experience with handling their mails. Apple has finally accepted that Panorama is more than a gimmick and included a panorama feature for it’s camera. The panorama was only accessible before iOS 6 using third party tools to the users, but now with one simple motion you can shoot up to 240 degrees and even vertically. The new iOS 6 has a lot to offer. Tell us what you think of the new iOS 6 in the comments section below!